Owners charming and very helpful. Furnishings and equipment excellent BUT RURAL RETREATS DESCRIPTION MOST MISLEADING. NEARBY PUBS ALL DEFUNCT.THIS IS A VERY SMALL CONVERTED OUTBUILDING NOT A CHARMING COTTAGE. VIEW IS IMMEDIATELY OVER DRIVE OF OWNERS' PROPERTY. NEED TO KEEP SHUTTERS CLOSED FOR PRIVACY. ALMOST NO HEADROOM IN BEDROOM. PERSISTENT SMELL OF HEATING OIL. Thank you for your kind words about the owners and furnishings/equipment at Sakers. It is a lovely property which usually has great reviews. 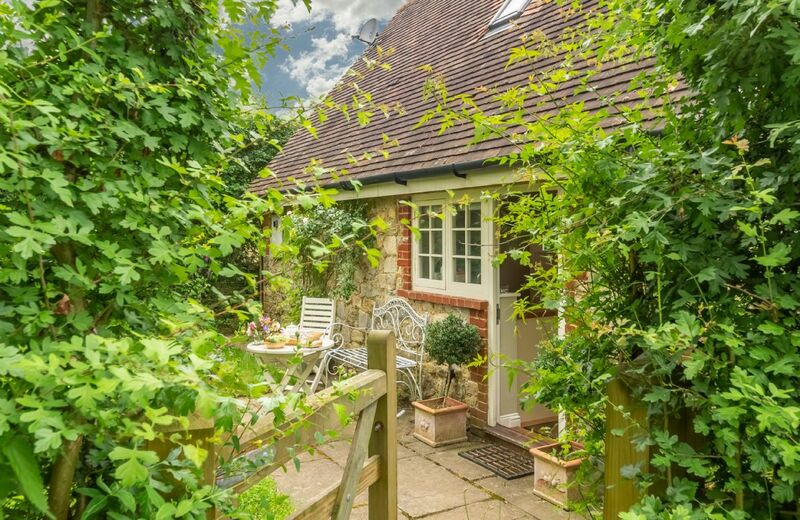 We call it a cottage referring to the definition in the Oxford dictionary - a small house, typically one in the country. 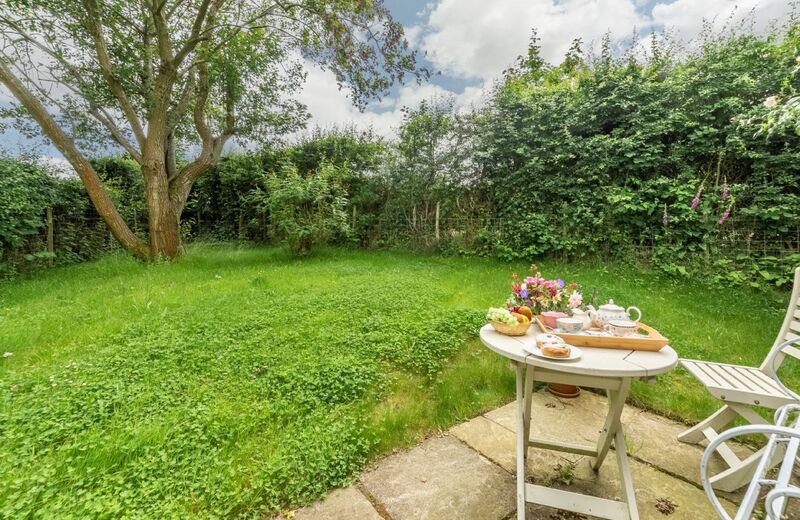 The front of the property is overlooking the private garden and I can reassure you that the owners cannot look in through the windows at the back. I am sorry that two of the pubs have closed recently. We have taken the reference to them off the web page. Great for walking, running etc. Some great pubs in the area. The cottage is the perfect place to go to relax , unwind and recharge your internal batteries . It is beautiful and peaceful with everything you need or could want . 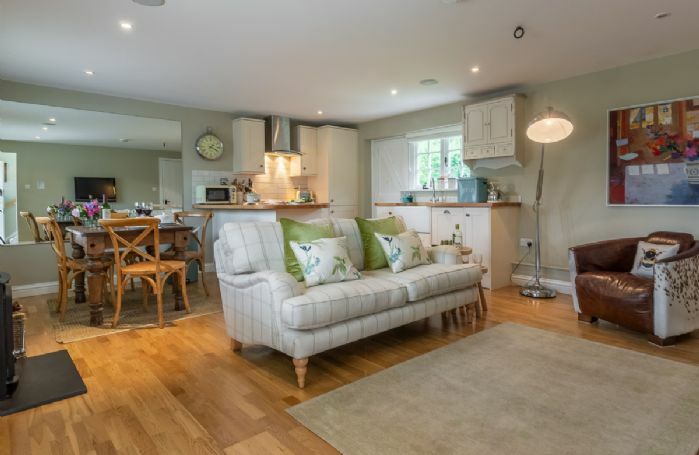 It is situated within easy reach of some wonderful places Hever and Leeds Castles , Eltham Palace , Ham House , Smallhythe and Sissinghurst and others too numerous to mention , then you can come back to the peace of 'home' and chill . Shakers was pure bliss . Ambience +++. Location ideal for us. Warm welcome. 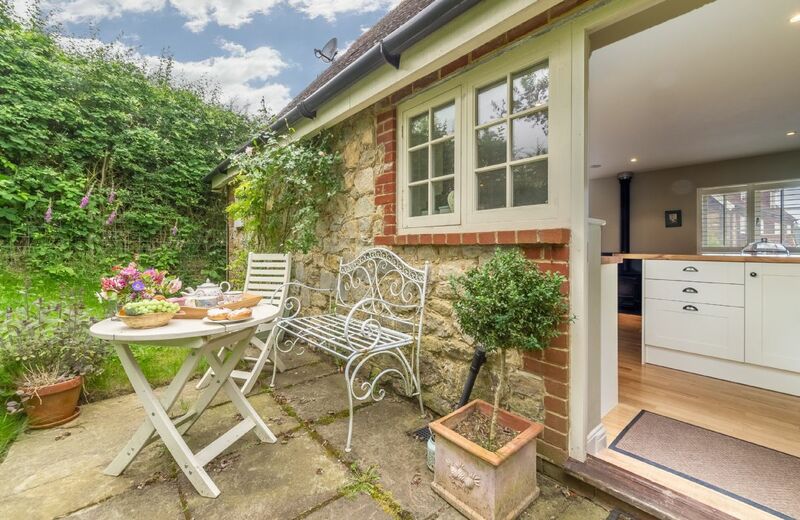 Although this cottage is small, it is well equipped and has been nicely decorated inside. We appreciated the Nespresso coffee machine, and the plentiful welcoming basket. The only point that we would like to make is that when the weather got colder, it was cooler in house, as both front door and back door have significant gaps in the frames allowing the cold air to come through. Thank you for your comments about lovely Sakers Cottage. I am very pleased that you liked the decor and the equipment and I will pass on your comments about the cold air. While everything was perfect! No remarks at all! Well furnished and equipped downstairs; beautifully decorated. Very clean. Good Welcome Pack. Slight disappointment with the upstairs bedroom: no curtain or blind on the large window; we found the bed too firm. 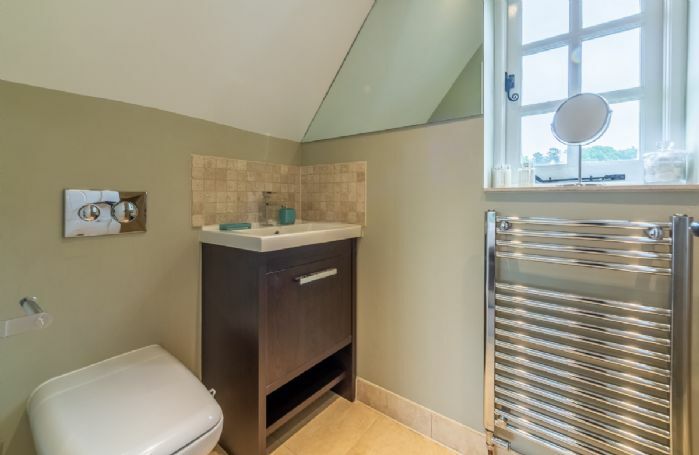 Very nice, luxurious cottage with great facilities- would be great to have a blind upstairs though.. Very impressed with the cottage and the welcome hamper was the best we have ever had. The homemade Victoria Sponge excellent. We liked the home grown products. It was all perfect and we had a great time despite the changeable weather. We are delighted that you had a great holiday. 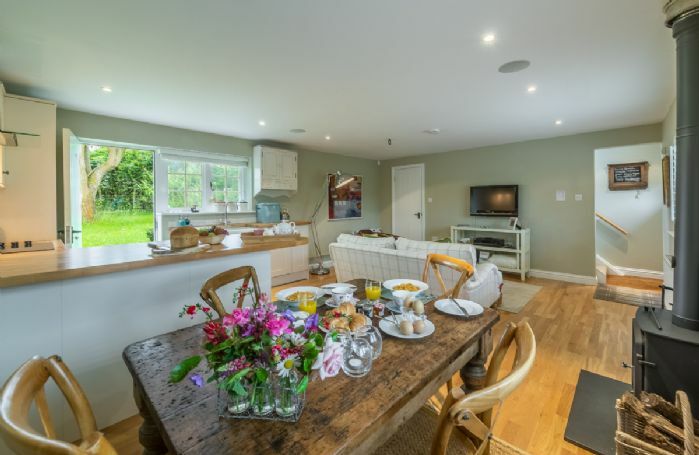 Thank you for your lovely comments about Sakers Cottage and of course the delicious cake that our guests there always enjoy. 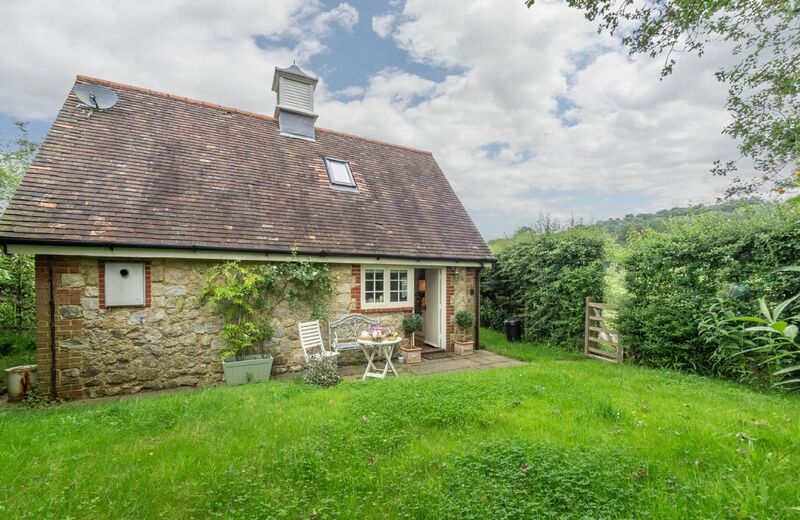 Lovely cottage and the usual generous hamper. Only snag was the provision of eye masks instead of curtains. We didn't find them comfortable and as a result woke very early. Thank you for your review of Sakers Cottage. We are pleased that you thought the cottage lovely and the hamper generous. 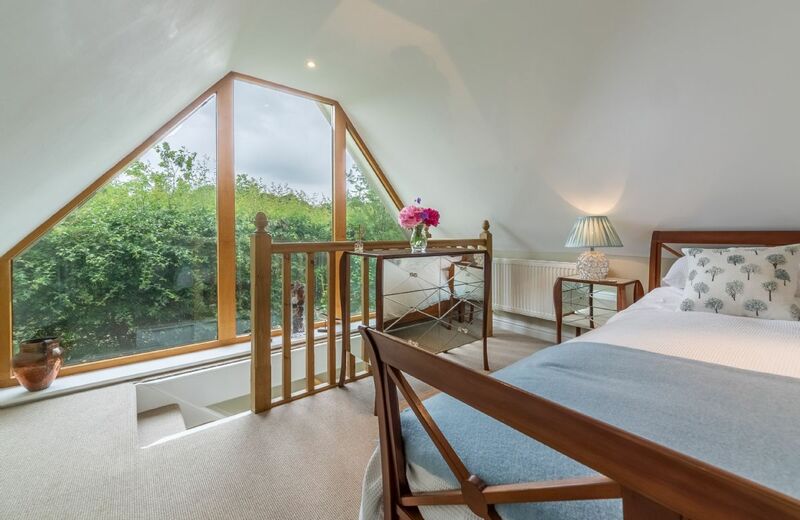 On the website it says 'In order to benefit from the stunning floor to ceiling window there are no curtains, however eye masks are provided to ensure a good nights sleep during the summer months'. Up until now this has just been under the picture of the bedroom but we have now put it as an added note. The cottage was excellent with top notch bedding and towels etc. All modern comforts and over flowing hamper. Home make cake was a welcome treat. What lovely feedback, thank you so much. Beautifully appointed cottage. Well situated for visiting National Trust properties. Welcome hamper very good though not quite as comprehensive as in other RR cottages we have been to. It was a really lovely cottage. The home made cake and hamper were a delicious touch and we had a lovely weekend. A lovely cottage and decorated beautifully particularly for Christmas. So many lovely little treats which really make such a difference, small box of chocs, delicious carrot cake, magazines including Christmas TV magazine, Prosecco, and so much more. The cottage is immaculate and so cosy and warm. It's in an ideal spot so that you can long walks but feel cut off from the world which was just what we needed. 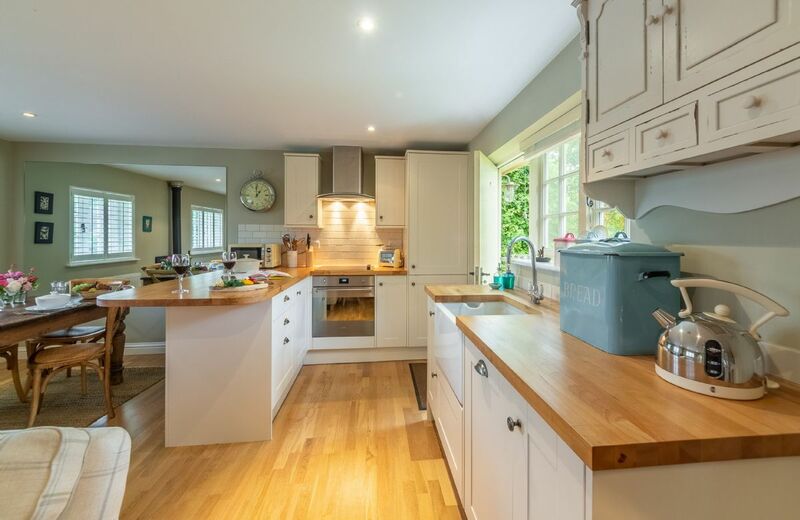 Beautiful property with a quality decoration & furnishings. Small and cosy but still modern and airy. Clean throughout with everything in good working order. Well equipped, particularly the kitchen. Fantastic welcome hamper including local food & handy local newspaper. This Alice in Wonderland cottage is very well equipped to a high spec and in a stunning location with lovely walks from the doorstep. The hamper was a special treat. So many beautifully presented home-made goodies. It was a refreshing change and reminded us of the good old days of RR hampers before they became the rather cursory offerings found in many RR properties. Whilst it would clearly be difficult to fit it in and was entirely obvious from the property details that there wasn't one, a washer/dryer (or access to one) would be so useful, especially because of the outdoorsy nature of the activities available. The lack of such facilities means we (and we suspect others), would be reluctant to book the property for more than 2 or 3 days, which is a shame as we would love to stay for longer. 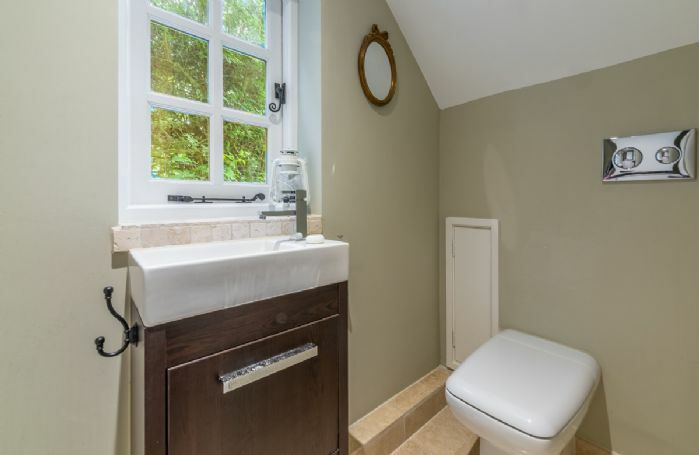 Sakers Cottage is a luxury detached Kentish Ragstone cottage nestled within the hamlet of Stone Street. The cottage has been fitted to a very high standard with a mix of vintage style and contemporary furnishings including a cosy log burner, integrated iPod docking station, WiFi, Satellite and Apple TV. 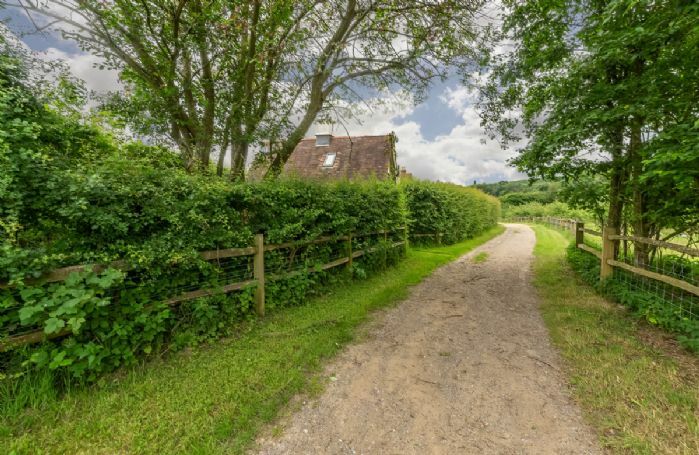 Somewhat "off the beaten track" and tucked away with views across apple and pear orchards, paddocks and farmland. The area is perfect for walkers and lovers of National Trust properties. Ightham Mote can be walked to via the little used footpath running past the property. Along the way, depending on the season, meander through lavender fields and gather wild garlic, blackberries and elderflowers. 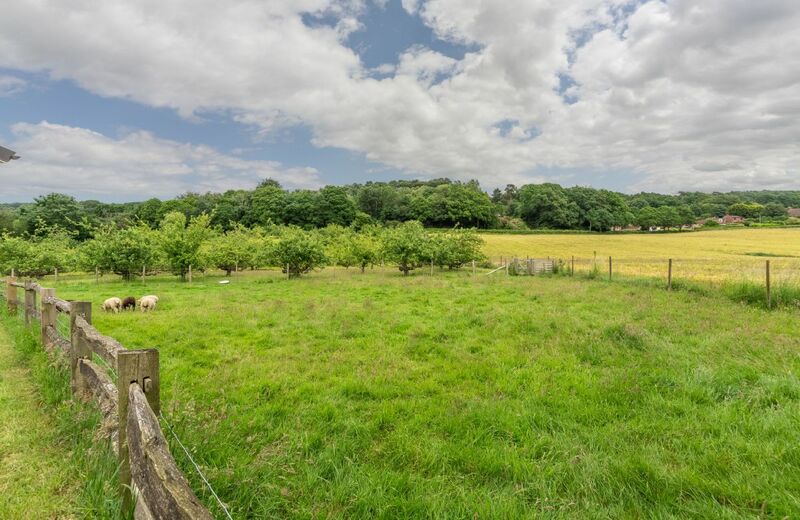 Local pub/restaurants within walking distance include the Bucks Head at Godden Green, the Plough at Ivyhatch and the Chaser at Shipbourne - a good 'walkers' walk away! Free use of the Tennis Court at the property all year round. One bedroom and one en-suite shower room. Fully enclosed, terraced garden with a slight slope. Parking (a few yards from property). 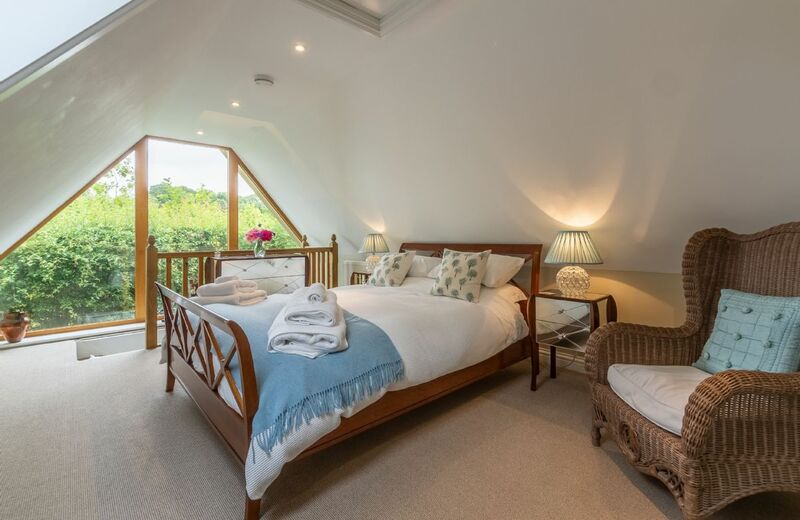 A baby is welcome with own moses basket but sadly the cottage is not equipped for older babies or children. 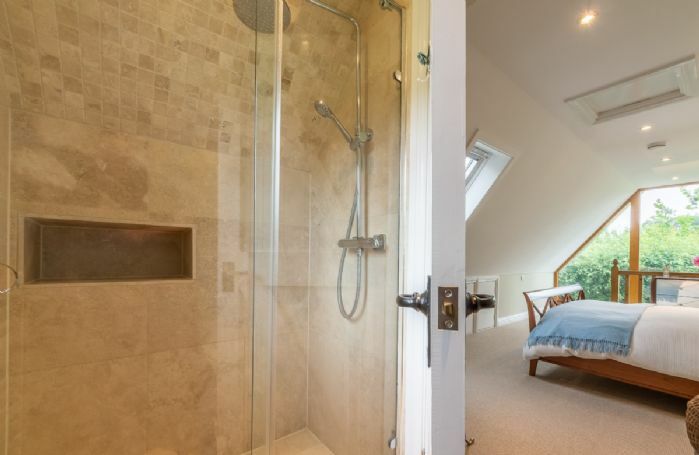 The headroom is slightly restricted for taller guests in the bedroom. Fantastic views overlooking the surrounding fields. Fitted electric oven with separate electric hob, microwave. Flatscreen television with Freeview in living area. iPod docking station with integrated ceiling speakers in living area. Only three miles from the market town of Sevenoaks offers many eating opportunities and includes fine dining options at The Vine restaurant opposite the historic cricket ground. In close proximity to a wealth of pubs and restaurants. Easy, fast links to London (30 minutes) and 10 minutes from the M20 exit 2. Visit Knole Park, Quebec House, Stoneacre, Emmetts and Riverhill Gardens to name but a few of the nearby places of interest. Bluewater Shopping Centre is 20 minutes' drive away as is Ebbsfleet International Station.